GENEVA, Illinois -- A 21-year-old inmate who took two nurses hostage at a hospital in west suburban Geneva, Illinois, had been taken there for eating part of his shoe, the Kane County Sheriff's Office said Monday. 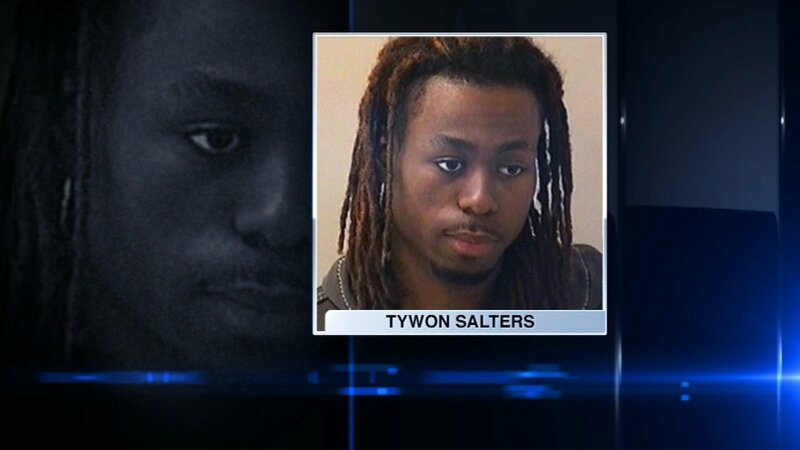 Tywon Salters, of Chicago, had been an inmate at the Kane County Jail since April 11. He had been charged with two counts of felony possession of a stolen vehicle. The sheriff's office said the alleged offense took place in northwest suburban Elgin. His next court date was scheduled for May 17. Salters was transported to Delnor-Community Hospital on May 8. He needed surgery after he ate part of his jail-issued, plastic sandal, authorities said. He was recovering from the procedure when the three-hour standoff began. Around 1 p.m. on May 13, Salters stole a 9mm handgun from a correctional officer who was guarding him in his third-floor hospital room. He took the first nurse hostage on that floor. The hospital was put on lockdown and Kane County's SWAT team was called to the scene. The sheriff's office said Salters released the first nurse and took a second nurse hostage before making his way down to the first floor and into a small room near the ER. Around 4 p.m., after negotiators were unable to get him out, the SWAT team moved in and shot Salters in the head. He was pronounced dead in the ER at 4:07 p.m., the Kane County Coroner's Office said. The nurses were not seriously hurt. A SWAT officer sustained an injury that was not life-threatening after a bullet hit his protective gear. Per protocol, the Kane County corrections officer and the SWAT officer were placed on paid administrative leave while Illinois State Police investigate whether the use of force was justified. The sheriff's office will also review internal policies and procedures regarding how inmates are transported and guarded while outside the jail.